On the day after Casa Mila what could be better than more Gaudi? And if you are going to go see Gaudi's work you might as well go all the way. Here are some shots of Gaudi's surreal, colossal, visionary, and yet to be finished basilica Sagrada Familia. Started in 1882 and by Francisco de Paula del Villar y Lozano, Gaudi got involved in 1883 and re-imagined the basilica in his own style. 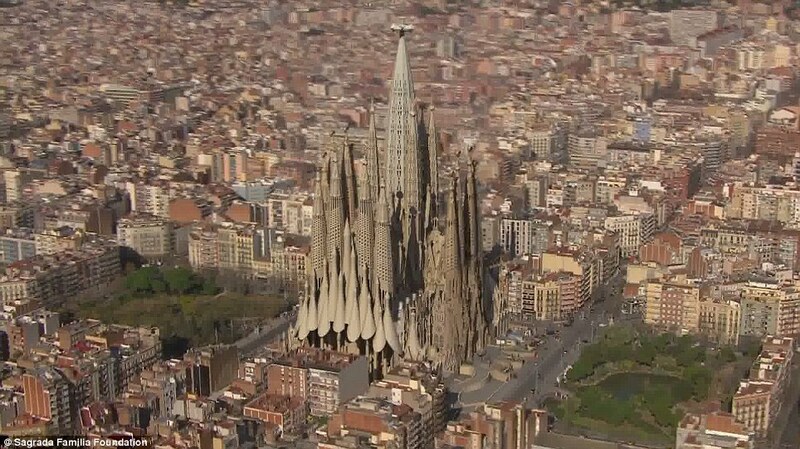 By the time of Gaudi's death, 43 years later in 1926, the basilica was only 25% finished. Now it approaches 70% finished and is expected to be completed by 2032. A rendering of what the completed basilica will look like can be found here, and when it is completed it will be the tallest church building in the world. Though in no way related, I have also included a few shots from later that day from in and around Placa del Sol, a plaza in our neighborhood, Gracia.